The Hollywood Reporter reveals that The Neverending Story’s Wolfgang Petersen is developing the Old Man’s War series for Syfy along with producer Scott Stuber (Safe House). Petersen was already attached to a previous incarnation of the project, a Paramount feature film that Petersen would have directed, with a script by David Self (Road to Perdition). That project eventually stalled and so now Old Man’s War is making the leap to the small screen and a reinvigorated Syfy that lately seems bound and determined to live up to the potential it squandered during years of Ghost Hunters spinoffs. 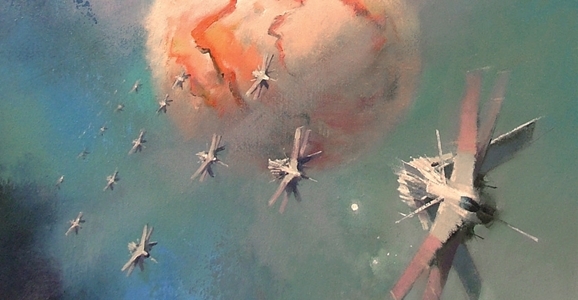 The show is being developed under the name Ghost Brigades, the title of the second book in Scalzi’s series.